Suzanne Wolf oversees all the Foundation’s communications, including internal and external communications, corporate reporting and media relations. Suzanne leads her team in increasing the understanding and awareness of the Foundation’s research among the many different stakeholder groups, as well as with the public. Suzanne is the Foundation’s first point of contact for media inquiries and speaking invitations. Before joining the Foundation in 2011, Suzanne built up extensive experience in communications and marketing. She has 20 years’ strategic and hands-on experience at publically listed companies, among others. 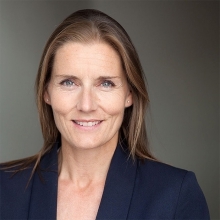 Suzanne obtained a bachelor’s degree in Political Science and a Master’s degree in Communications Science from the University of Amsterdam and also completed Masterclasses in Communications Management at the University of Groningen and the Erasmus University Rotterdam.